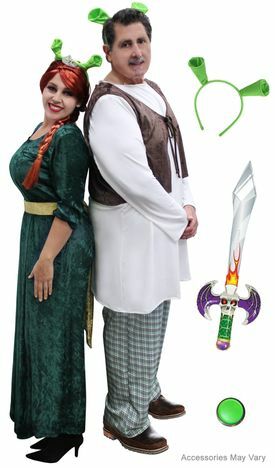 With this Shrek & Fiona couples costume and accessories, you'll have everything you need! The Shrek costume is a 3 piece set that includes a long top, elastic waist plaid pants and a brown crush velvet vest that ties in the front. It is available in sizes XL up to 9x.